Framing Register Forms 615 At Print EZ. Framing Register Forms Item No. 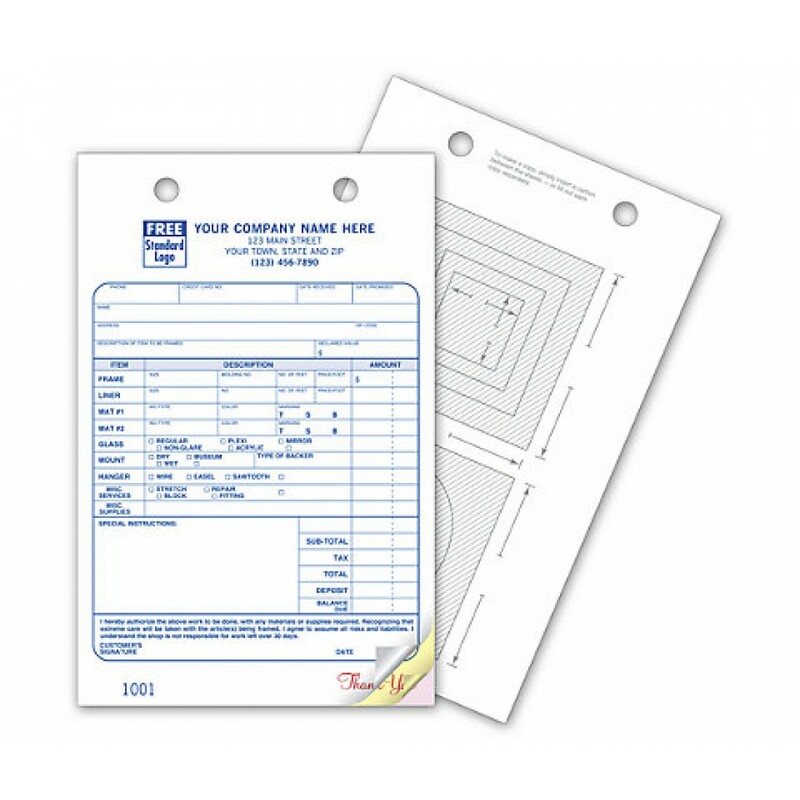 615 Size: 5 1/2" x 8 1/2"
Framing register forms need to follow a very well laid out and extensive format. Even a small piece of information missed out could end up with a dissatisfied customer. We have designed framing forms keeping these facts in mind, so as to deliver the very best to you. 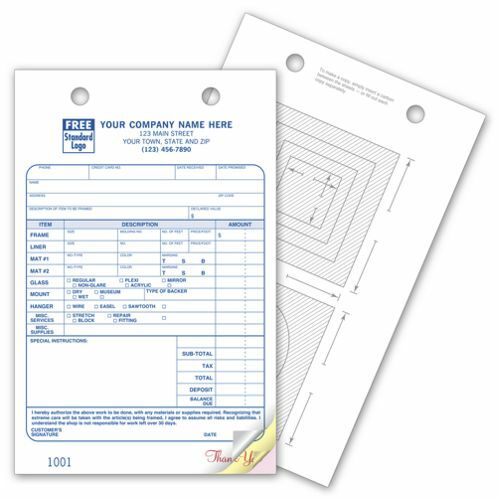 These forms cover a huge array of information. The items have been preprinted and so instead of wasting time writing them out, you simply have to tick the right one(s). The description of the job is also covered fully, while the amount and tax slots help to make accounting much easier. The diagrams printed on the back of the forms are especially useful when looking to record specific shapes and dimensions for the frame in question. No little stapled chits of paper. One form for it all.